The mission of the Pre-Engineering major at Newberry College is to provide students with a solid foundation in mathematics necessary to pursue an engineering degree at Clemson University. This “dual-degree” is a 3/2 program.  Students spend three years at Newberry College where they will take a minimum of 90 credit hours, including core courses under the guidance of their Mathematics faculty advisor and a Clemson’s advisor. They will then transfer to Clemson University for two years to finish course requirements for an engineering degree. Upon successful completion of the program, a student will graduate with an Applied Mathematics degree from Newberry College and an Engineering degree from Clemson University. Core & Electives TBD w/ Advisor ??? Core & Electives TBD w/ Advisor ?? ?